I planted the fall harvest on September 13. It was December 17 when I decided to dig the spinach out from under the snow and use most of the basil left on the basil bush to make a spinach/basil pasta salad. I like knowing that my lunches this week come from the garden! 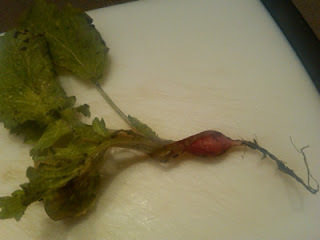 I also picked a radish . The last time I tried to pick a radish plant there were just roots and no radish bulb. 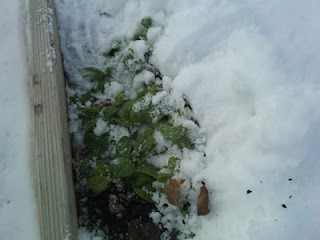 I will check the radishes again in January.